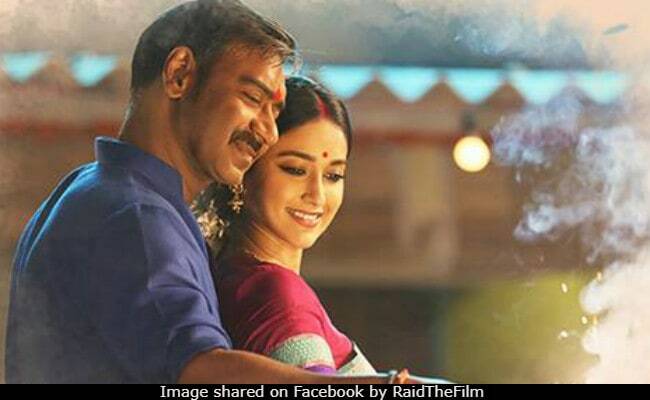 Ajay Devgn's new film Raid, based on the true story of an income tax raid conducted in the Eighties, released today. Ajay plays the role of an honest income tax officer who raids a politician's family home in Lucknow - a grittier role than his last one in Golmaal Again. Ajay comfortably switches from comedies to 'slice of life' cinema and spoke to us about working on films from different genres and also the future of the big screen experience, which is under threat the world over by digital content. The actor feels cinemas don't have to feel threatened as audiences will go to movie halls just for the experience. Q: Ajay, we have to prepare extra when we come to interview you because you are a man of few words. Ajay Devgn: (Laughs) See, my answers are not short or anything like that, I would say my answers are to the point. Q: Your character in Raid looks very relatable, just like your character in Singham and Drishyam. Do fans write to you and tell you, that these are the kind of films they like to see you in? Ajay Devgn: Fans don't say that to me, but for an actor, it's very important to be accepted in every kind of genre. Since that has happened, I can do a different kind of films I can do Golmaal, Raid, Dhamaal and even a biopic like Tanaji Malusare. Q: Does this option of choosing films come with time and success? 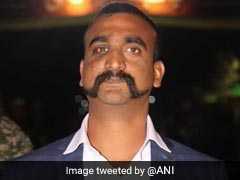 Ajay Devgn: Yes, it comes with time. You need to be lucky to get this kind of roles by the right people at the right time. Also what's paying off is when I had an image of an action hero in the 90s, I started doing parallel cinema, which today thankfully is not called parallel cinema anymore. Everyone is doing it. I did films like Zakhm and Raincoat. Those films taught me a lot, and that also broke the mould of an action hero. That was a risk because action films were not doing well in those days. Q: Why did you take that risk when you were doing just fine in action films? Ajay Devgn: I love cinema. I love good films. Everything can't be just about money. Q: You keep going back to comedy, is a comedy film more fun to shoot? Is the vibe on the set different? Ajay Devgn: It's not different. You never differentiate by a genre. In the morning when an actor wakes up he doesn't differentiate between genres, you just play the characters, he could be funny, or he could be serious. It's not that comedy is easy. It's not easy to make people laugh or even feel for you. Q: Your character in Raid is an honest income tax officer, and this is a true story, this is what we see in the trailer, tell us more. Ajay Devgn: Yes, it's a true story. It's based on a true character. In the 80s, it was so scary that people used to find dead bodies of these officers in drains. They are not supposed to even tell their family where they are going to conduct a raid. This whole episode is so intriguing. It's got so many emotions to it. My character gets a tip from someone, and until the end, you won't know who gave him that tip. There are lots of things like this, and it's amazing that there are people like these who for love for their country and honesty are ready to give up their lives and put their family at risk. Q: Movies like Raid bring these real heroes into the limelight that they deserve, right? Ajay Devgn: Absolutely, they are the heroes, like we talk about our freedom fighters, there are these heroes in today's times in our society. Q: With so much good quality digital content available on finger tips, are actors worried about the future of big-screen movies and cinema halls? Ajay Devgn: Going to cinema halls is going to be fine. That's not going to be a problem. Of course, there are alternatives now. I also like to sit at home and watch content on the digital platform. The audience will go to the theatre, in our country what others means of entertainment do they have? Even if they go to restaurants for an hour how much are you are spending? They would only go for films that give a big screen cinematic experience. If it's a nice story told in a small way it won't be a cinema experience. Raid, co-starring Saurabh Shukla and Ileana D'Cruz, is directed by Rajkumar Gupta.